Downtown Tempe LOVES to get in the Sun Devil spirit, especially during college football season. 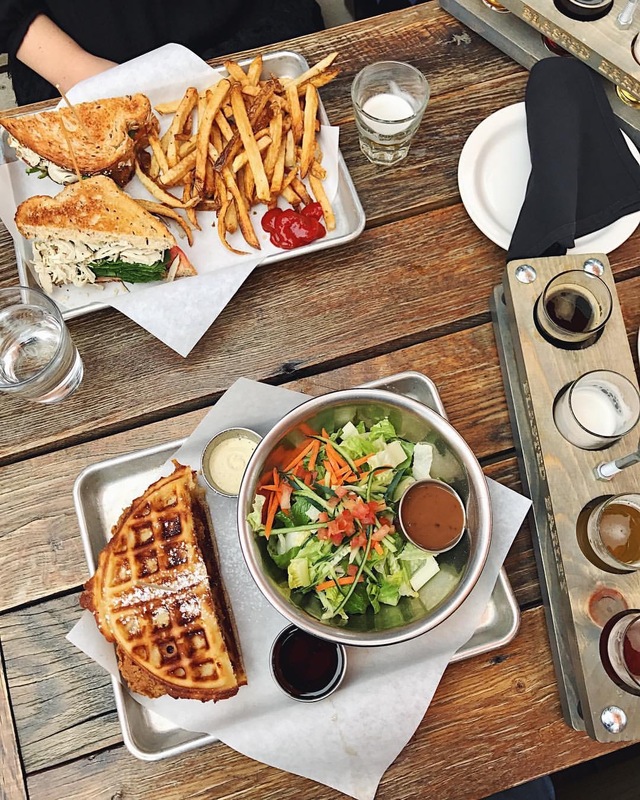 One way we tend to show our Sun Devil pride is simply through good eats and quenching drinks. 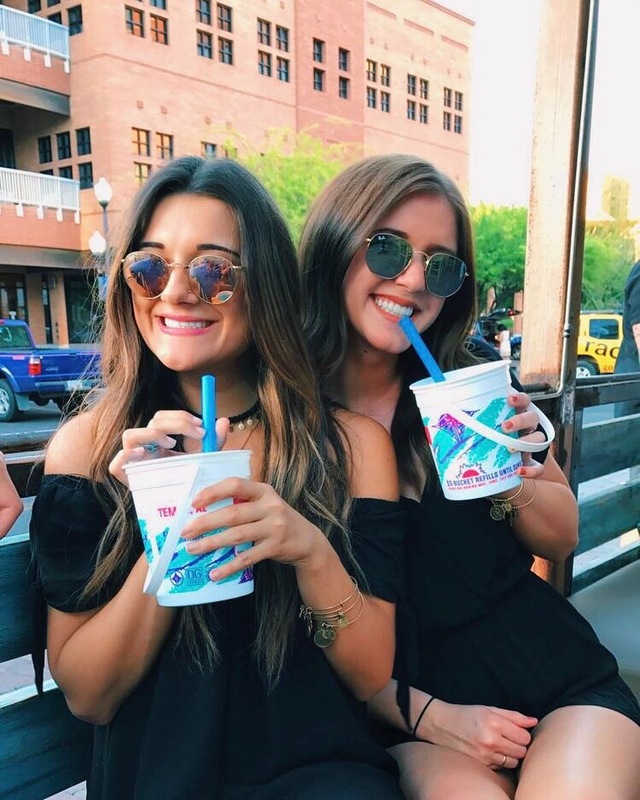 Visitors to Sun Devil Stadium flood Downtown Tempe both before and after the games, popping in and out of restaurants and bars and engaging in some good ole tailgating. Make your Sun Devil football a full day affair and be sure to check out these 5 locations that are unique to Downtown Tempe and your game day experience! Let me just say, if your game day doesn't start with brunch...you're doing it wrong. How can you possibly get in the game day spirit without a proper balance of sweet, savory and bottomless mimosas? Local brewery, Blasted Barley, is a great place to fuel up for your game day festivities -- they have a finger-licking brunch menu that includes Boozy Cereal and my personal favorite, Chicken & Waffles. If you aren't into large crowds, you can also post up here for a full day of college football on television. The back and side patios are full of backyard games and lounge seating to keep you entertained and cozy between quarters. 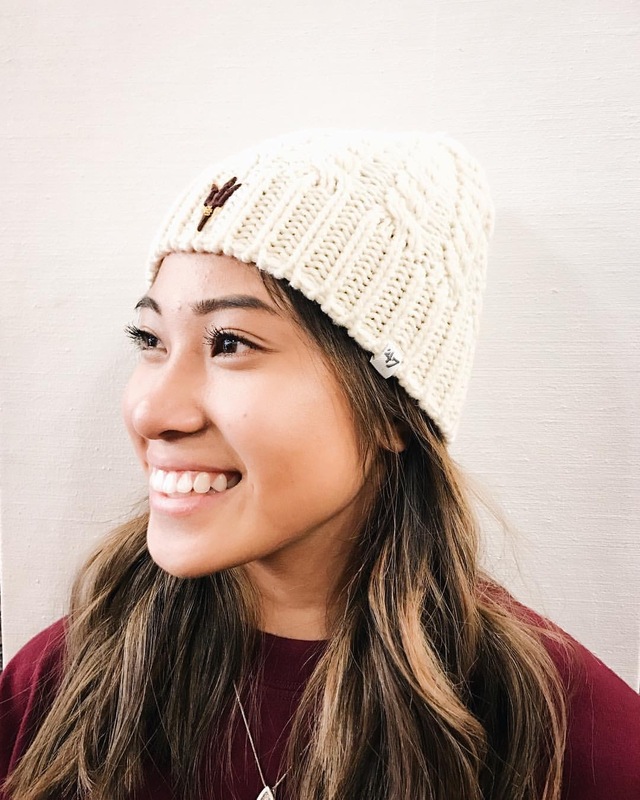 Ok...I know this isn't a food or beverage option, but just in case you left home without your ASU gear, swing by Cactus Sports to grab something maroon and gold. If you're a localist like me, you'll love that this retailer has been independently owned and operated in Downtown Tempe for over 20 years! Add C.A.S.A. Tempe to you pre and post game bucket list...your actual bucket list -- you won't find them anywhere else in town! C.A.S.A. is known for hosting over the top game day festivities, as they typically take over the east side of 6th street for a massive viewing screen and live entertainment. Near campus, visitors can find a great tailgate and support a local business. 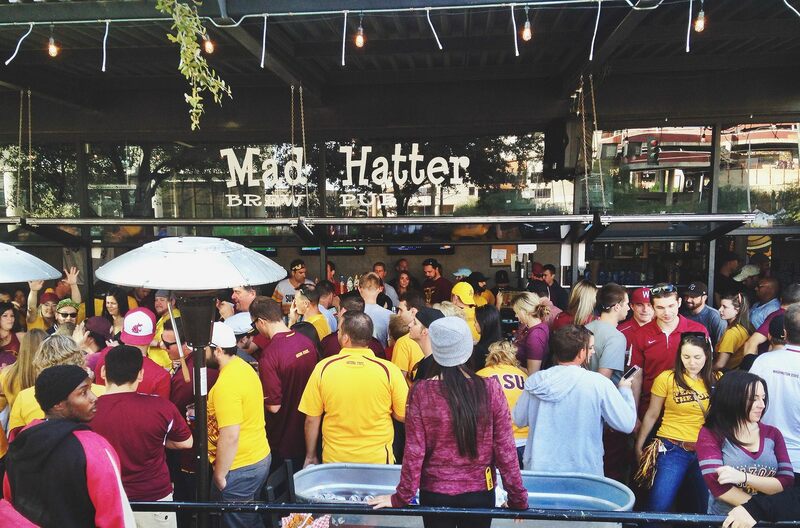 Mad Hatter Brew Pub typically extends beyond their boundaries on game days to accommodate larger crowds and is less than a 5 minute walk to Sun Devil Stadium. It's a popular spot to grab drinks both going to and coming from the game. 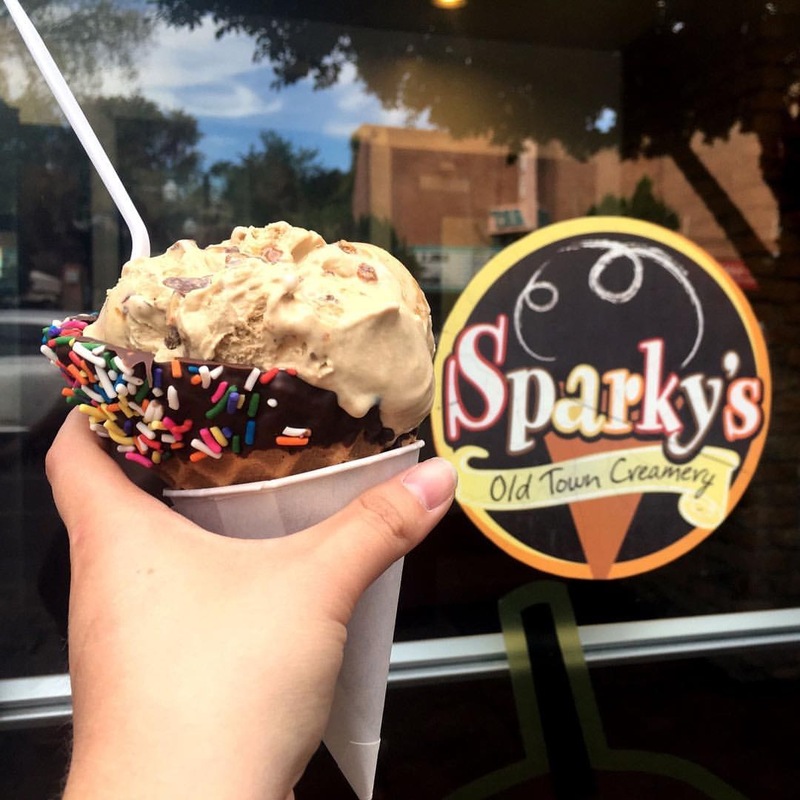 And of course, your post game plans should include a stop at Sparky's Old Town Creamery. Whether you're celebrating a win or eating your feelings after a loss, the freshly made local ice cream is a one-of-a-kind treat in Downtown Tempe. One thing is for sure...there's no shortage of great bars and restaurants to visit in Downtown Tempe on game days -- go Sun Devils!